This pattern contains three "Super Simple" towel designs, and they are great for beginners! 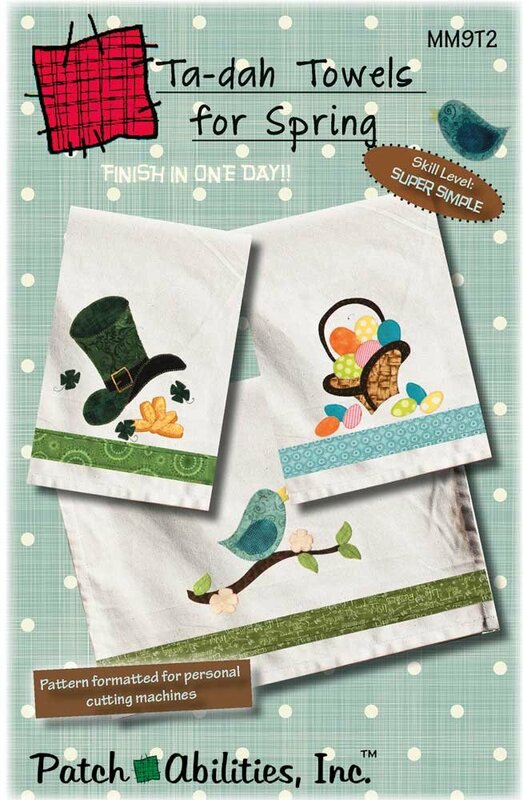 This pattern includes instructions for 3 Spring designs: This pattern includes instructions for 3 Spring towel designs: Luck & Gold- a fun St. Patrick's Day (St. Patty's Day) design that features a Leprechaun hat, shamrocks, and gold coins, Bunny Basket- a basket filled with Easter Eggs and Little Birdie- a fun spring design that features a singing bird on a tree branch. Towels are not included. Skill Level: Super Simple. Finish in One Day project.